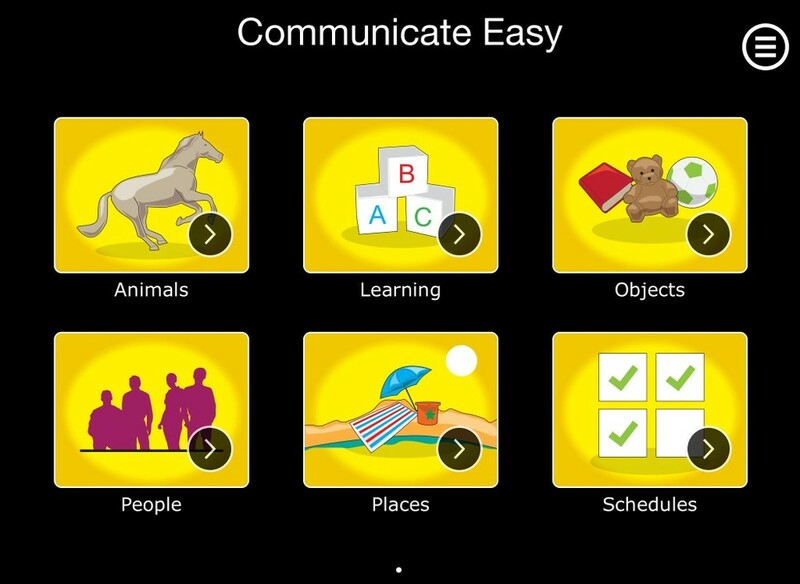 Communicate Easy provides a great way to communicate with non verbal individuals using picture cards on the iPad. 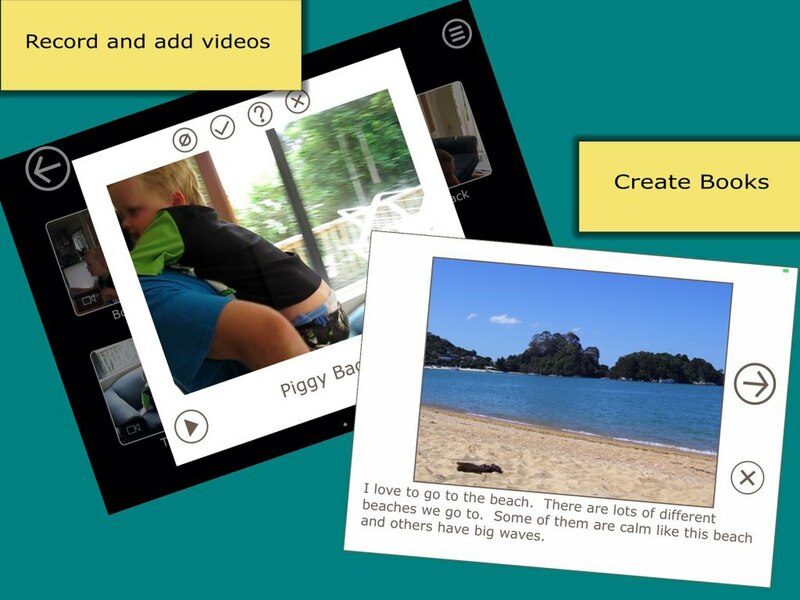 This special needs / autism app allows you to create a fully customizable library of picture / video cards complete with sounds. 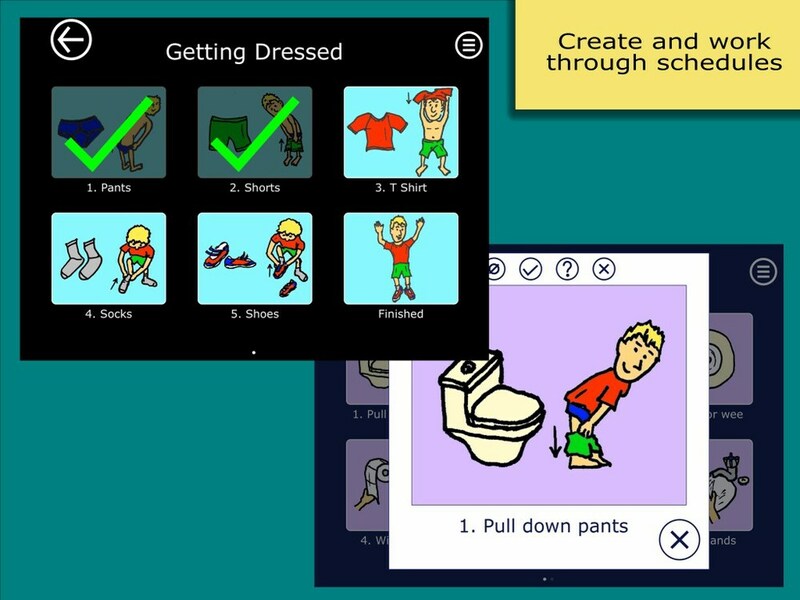 The cards can be used for choice making, visual prompts (such as "we are going out in the car now"), or grouped together to form a schedule (such as "getting dressed" or "toilet training"). Also, like my own autistic son, the individual might like to look at familiar items such as family members and books, or play sounds that have been attached to the card. Add folders (such as "People", or "I want to...") - folders can be added under other folders as well. Add picture cards, containing a title, image, and sounds. Can use the built-in voice synthesizer. Add books with pages containing images and text. Add cards to First Then Boards and adhoc choice boards "on the fly"
Some preloaded folder and cards including numbers, letter, colors, getting dressed schedules for boys and girls, and a toilet training schedule. Really simple to use and intuitive. Apply states to the cards such as ticking them, making them unavailable, or hiding the card. A screen to quickly apply card states to all cards in a folder. Very handy for restricting choices, e.g. allowing a choice of 4 DVDs when the folder contains 20 DVDs. Ability to order the cards and folders within a folder. Change background colors using some predefined themes. Can switch between different modes to keep editing separate from interaction with the individual. Can lock out the ability to edit to prevent nasty accidents! Lockdown and special gesture options to ensure choices are made and schedules are followed! Backup and restore the library to prevent accidental loss and allow copying onto another iPad. September 1, 2012 by Wayne Lewis.